It’s been a while since a post-midnight shot made it onto the blog; my Saturday was otherwise entertaining enough but rather than display more football, here is Clare coming home from our Friday night out (also undepicted). 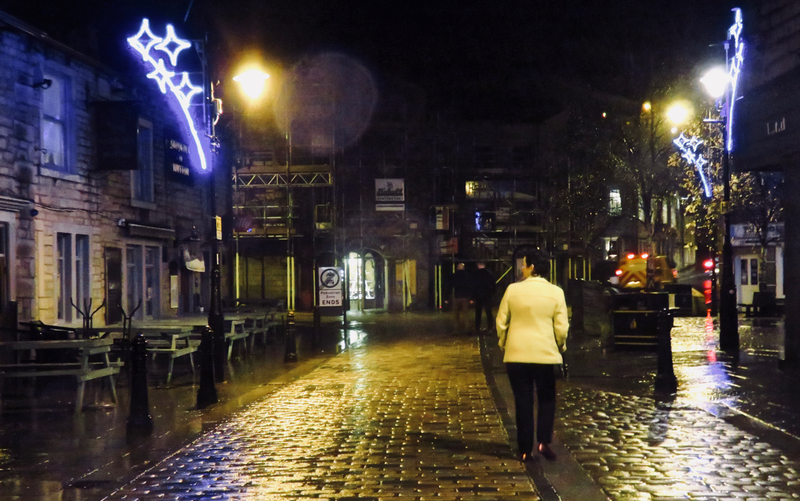 A night out on the cobbles, rather than the tiles? Either way, Christmas is upon us, more or less.